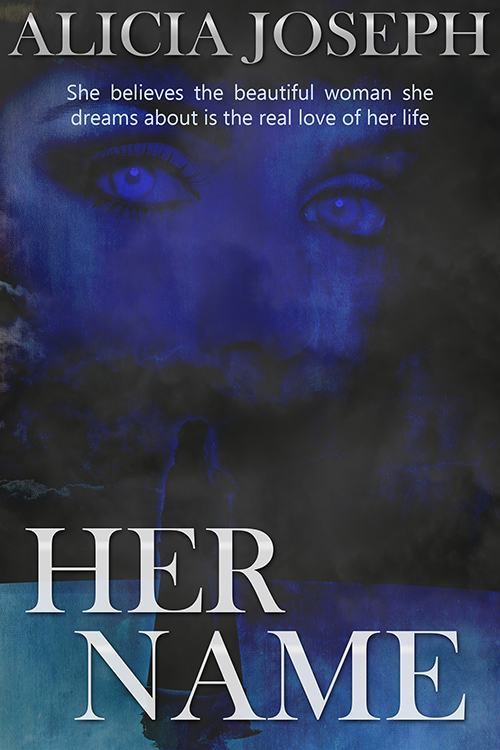 My lesbian novella, Her Name, is a sweet romance about a woman who believes the beautiful woman she dreams about is the real love of her life. Here are a couple excerpts that I hope you enjoy! She held me like she knew me as I cried in her arms. We lay on the bed, on top of the covers, as streaks of sunlight peeked through the curtains. She leaned against the headboard and cradled me in her arms, rocking gently. She had a tender, motherly touch, and the harder I cried, the closer she held me. I wept freely until, slowly, my cries faded to whimpers, and soon, all I heard was the steady sound of my own heavy breathing. She pressed her lips against my forehead, kissed me, and told me she loved me. I opened my eyes to darkness as I reached my hand to the other side of the bed. It was empty. I quickly sat up and wiped the tears from my eyes, not believing I had dreamed of the same woman and had again woken up looking for her. “Wow, that was a very obvious subject change,” I pointed out. If you like what you’ve read so far, you can purchase my book for only $2.99 on Amazon at the link below. Next Next post: A Recipe for a Patriotic Dessert!